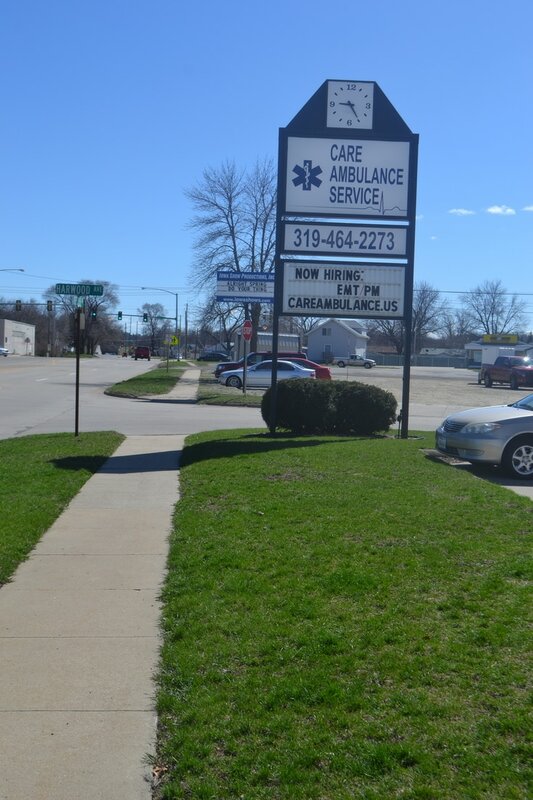 CARE Ambulance, LLC second base is located in Waterloo, Iowa. The Waterloo base is servicing the Waterloo area by providing ambulance transports as well as secure car transports in and around the Waterloo area. CARE Ambulance is an approved Critical Care Transport service in the state of Iowa. To dispatch a Waterloo crew, please call 319-464-2273. If no answer please call: 319-512-8811. If you are interested in employment with CARE Ambulance, LLC at our Waterloo base, applications are located on our interesting links and forms page. Or you may stop by and pick an appliation up at 150 Fletcher Ave, Waterloo, Iowa 50701.